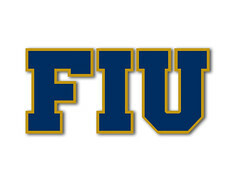 FIUGoldenPanthers.com • View topic - What's the Big News?!? Interesting. I wonder what could this be, if anything really important. We need a new band coach, hopefully that's the "Big News", ie, he's leaving. It seems it's a very big. They are having students, faculty and staff RSVP for the celebration on July 18. The event is at the Wellness & Recreation Center, South Entrance from 12 pm to 2 pm and that means food will be served. They are also busing people from BBC (Biscayne Bay Campus) for free as well as having transportation from the EC (Engineering Campus) to MMC. Location is the key factor. It's at the Wellness & Recreation Center. That rules out anything to do with the Athletic Teams (football, soccer, etc) or else the announcement would have been done at their respective stadium/facilities. I don't think it's academic related because it would have been at the location of the college/school/department. Since it's a the Wellness & Recreation Center, then it's something specific to that location/program. New expansion? I doubt is as they just finished one less than a year ago. Naming rights? Most likely. So that's my take. Thanks for the info, ‘Goose. I was trying yo analyze it from pretty much the same perspective as you. If it would’ve been athletic related, most likely it would’ve been at the stadium, etc. However, that in itself would have given it away. Busing from te other campuses as well? Hoping it’s as big news as they are making it to be!! at the end the placard says it will be revealed on July 16th then it also says come celebrate with us on July 18th? In investment in food and transportation makes me think it could be significant. 3. Change of the school mascot? Maybe the return of SOB or the use of him as a secondary mascot. That’s all I got lol. Idk about you guys but I’m anxious to hear with the announcement is. Same event. Announcement is July 16 and celebration is July 18. So I think July 16 will be an announcement and July 18 will be inauguration/celebration of what was announced. 1. The donation might be big but not that big. Reasoning is I don't think the president will let a donor give the biggest donation in school history to the REC (Wellness & Recreation Center) instead of Athletics or an academic program. If it's a donation to the Wellness & Recreation Center, it might be the biggest for that program. Heck, Wellness & Recreation has never received any donation before if I'm not mistaken. 2. You won't have such agreement celebrated at the Wellness & Recreation Center. For something like this, it will be in the GC ballrooms or the GC front plaza. 3. I doubt it. Mascot has to do with athletic teams, not Wellness & Recreation Center. Such celebration will be at the stadium. Moreover, if you watch the YouTube clip they produced promoting the event, the president received a phone call announcing the good news. I don't think he will receive such a call about a change in mascot. That's my take. I know the location of the event is strange and therefore makes it hard to pinpoint what it could be, but I don’t think it’s automatically tied to what building it’s being held at. It seems like they’re making this out to be a huge announcement with the bussing of students and all, and I just can’t imagine it being about the new rec center. I would assume something related to the rec center, or something about expanded student housing. I hope it is to announce construction of a new basketball arena which is sorely needed and long overdue. The current arena is putting FIU basketball at a major disadvantage compared to it’s peer universities. Its held at the rec center? My guess/hope is that its plans for an Olympic sized pool/diving pool. I know we have one at BBC, but I've always felt that's been missing from MMC. Don't even know where we would put it. However, don't know if that would warrant such fanfare. Either way, can't wait to see what its all about! Could be starting constructions of the housing next to the football stadium. Maybe PG finally figured out that he promised a track/soccer facility?